About 300 people dressed to the nines for an evening of glamour and fun at the Garden City Hotel for North Shore Child and Family Guidance Center’s annual Dancing With Our Stars gala on a recent November evening. Len Berman, former NBC sportscaster, acted as emcee while former New York State Parks Commissioner and CEO of Castro Convertibles, Bernadette Castro, was the live auctioneer. The Dancing Stars included Frank Castagna, owner of Americana Manhasset; Charles Chan, from Harvest International; Wayne Grosse, from Bethpage Federal Credit Union; Jo-Ellen Hazan, past president; Tracy Kupferberg, Daniel Gale Sotheby’s International Realty; and Sandra Schoenbart, Sandra K. Inc.
Berman joined Castro at the cocktail hour and looked back on being a part of this event for the past five years. Steve and Sharon Cuchel of Roslyn Harbor came as guests of the Castagna’s. “I know they do wonderful work and I am happy to be supporting them,” said Sharon. 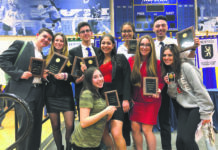 Executive director and CEO of the North Shore Child and Family Guidance Center Andrew Malekoff said the purpose of the vent, to raise money for children’s mental health, is so critical in today’s world. 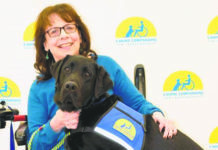 President of board of directors of the organization, Nancy Lane, has been involved with the organization for years. 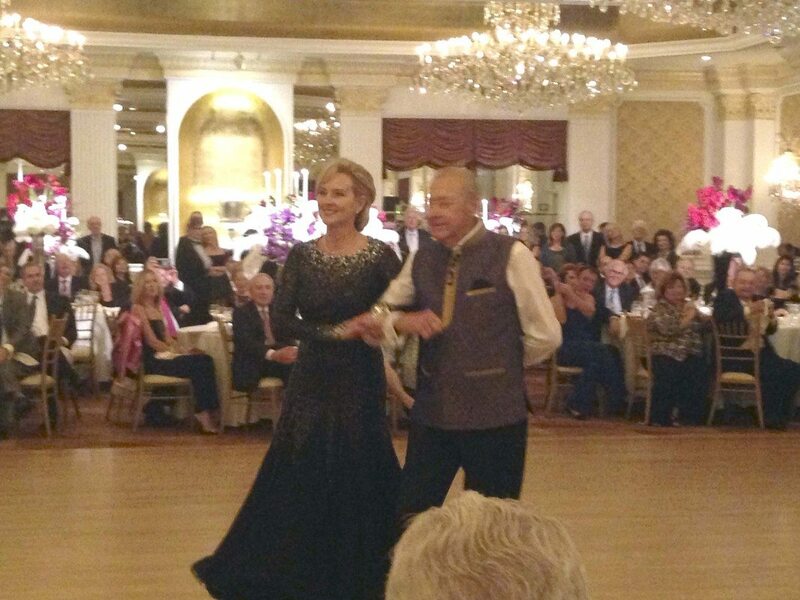 Port Washington’s Cynthia Rubinberg and her husband Michael attend this event yearly. The guests were ushered into the grand ballroom, which was filled with tables adorned by two-foot centerpieces of roses, hydrangeas, amaryllis, black and white ostrich feathers and candelabras. Legal Analysts and CNN host Sunny Hostin was honored for her work. After the speeches were given, money raised and dinner complete, the stars came out and did their best foxtrot, waltz and salsa. 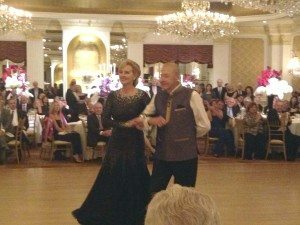 Castagna waltzed gracefully around the dance floor while president of Americana Manhasset Deirdre Costa Major enjoyed the show. On Long Island, one in five children suffer from mental depression and only one in 20 get help. If you know of someone who needs help, contact the North Shore Child and Family Guidance Center located at 480 Old Westbury Rd. in Roslyn Heights or call 516-626- 1971.